Game over apparently near for the indestructible Swedish regenerative medicine researcher Suchitra Sumitran-Holgersson, after investigations at her University of Gothenburg draw to an end. It is about experimental transplants of decellurised veins “regenerated” with the patient’s own bone marrow cells into three child patients, all of whom ended up in life-long medical care, one patient received a liver transplant after her graft failed, another child suffered severe complications (see this earlier report about an external investigation by Bengt Gerdin into that matter). The University of Gothenburg then established an investigative committee, which followed up on the Gerdin report and specific concerns voiced by a journal editor and a colleague. I publish below the two decisions which revealed that Sumitran-Holgersson and her surgeon partner Michael Olausson never performed any animal testing before recruiting their human patients, they also failed to obtain ethics permits for these operations. Instead the two lied in their publications (Olausson et al, Lancet, 2012; Olausson et al EBioMedicine, 2014) about having obtained ethics votes (something I already uncovered before). During the investigation, Olausson and Sumitran-Holgersson were caught submitting false information to the committee. They were now found guilty of misconduct and ethics breach in both these publications. More investigations are ongoing. There was also a failed trachea transplant, which likely led to that patient’s death, prepared with a method similar to that of Paolo Macchiarini (in fact his and Sumitran-Holgersson’s labs co-operated briefly, when considering transplanting the recently deceased patient Yesim Cetir). 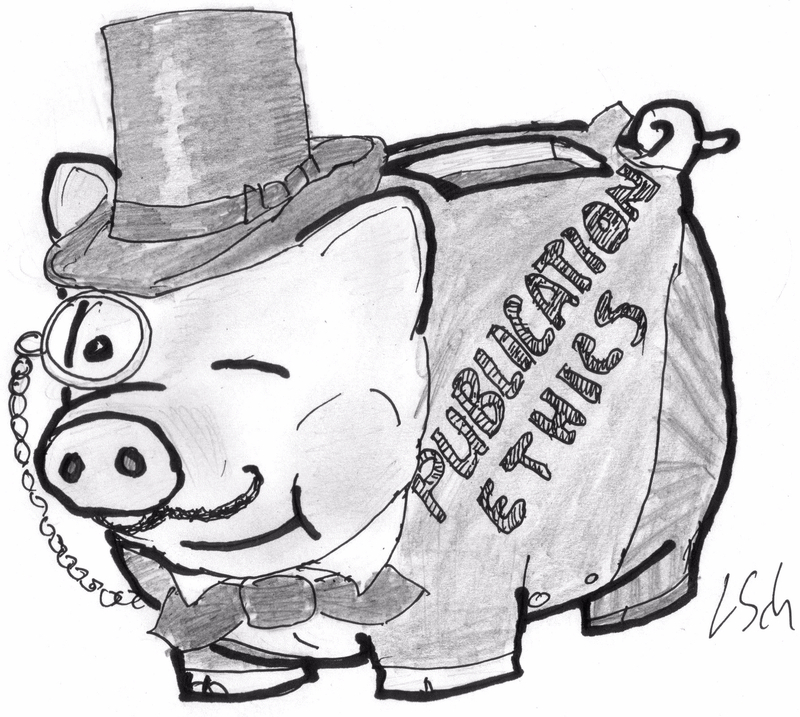 Also there, Sumitran-Holgersson and Olausson lied about ethics approvals, the paper (Berg et al, Tissue Eng Part A. 2014) was retracted, officially for a data integrity issue. Indeed her excessive data manipulations might finish off the unstoppable Sumitran-Holgersson. An investigation into the copious evidence which appeared on PubPeer in 2016 (see examples here) by the Swedish Central Ethics Review Board (CEPN) was also concluded and its decision about to be published, but Sumitran-Holgersson lodged an appeal. She apparently did not like the outcome. I will of course report when the final decision is made by CEPN. Sumitran-Holgersson escaped a 2010-2011 fraud investigation initiated by her former employer Karolinska Institutet (KI), because the then-investigative authority, the Swedish Research Council Vetenskapsrådet (VR), declared the outcome nil and void for some very shady formal reasons. VR even went so far as to threaten the two investigators (for details, see my earlier report). In fact, when other funders started to cancel their financial support to Sumitran-Holgersson in May 2016, VR continued to subsidize her questionable research (as I reported before). The Gothenburg investigation did not run too smoothly either. Its chairman, the orthopaedic surgeon Björn Rydevik pulled out of the investigation by declaring some obscure conflict of interest, which is not specified anywhere in the reports. Therefore, the vice-chairman and zoology professor Malin Celander took over. Other Committee members, who signed the conclusion of misconduct, were Anders Carlsson, Leif Eriksson, Philip Hwang and Yvonne Leffler. Two members, Lars Rönnbäck and Kerstin Landin-Wilhemsen declared that the University of Gotheburg had no authority to investigate their employees Sumitran-Holgersson and Olausson, since their clinical work was performed at the Department of Surgery of the Sahlgrenska University Hospital. The two investigators also protested about unclear university guidelines and insisted that Olausson and Sumitran-Holgersson had no way of knowing that one is not supposed to lie about non-existing ethics permits. This travesty of dissent was co-signed by the committee’s legal appointee, the administrative lawyer Kristina Ullgren. The outcome of the investigations is the established misconduct by Sumitran-Holgersson and Olausson. Yet according to the newspaper GP, who also interviewed the (retiring) Gothenburg rector Pam Fredman, there will be no administrative consequences, because the investigation took place more than two years after these papers were published, in 2012 and 2014. However, there is still the data manipulation investigation being finalized. If serious fraud is found, that administratively regulated 2-year expiration limit will not be applicable anymore. Which might finally mean end of the road for the unstoppable Sumitran-Holgersson. These are the investigative reports. First, on Olausson et al, Lancet, 2012: I make available the entire document and the rector’s decision, in Swedish. “I had co-authored two other papers under investigation by SSH and initially responded to questions specifically related to those papers. One of the questions posed by the investigators was whether I had any other information which might be relevant to the investigation of SSH and MO. Initially I did not respond to this question since I was being approached for the other papers. However, after a while I decided I had the moral obligation to ask the investigators to look into the other issues with the blood vessels and e-mailed the lawyer in charge of the investigation. This was the 13th of August 2016”. were there any animal studies performed prior to the transplants of the bioengineered veins supporting that this treatment modality was safe to use in humans? Were the relevant/adequate ethical permits granted prior to the procedures? Was the laboratory where the veins were produced accredited for manufacturing tissues for use in humans? “The Council for matters concerning the investigation of suspected misconduct in research, artistic research and development, (The Council), has investigated the matter regarding an article published in The Lancet 2012. Inquiry involves questions about the ethical status, if there are animal experimental data prior to the clinical trial and if the laboratory was accredited for preparation of tissue and organs for human use. The clinical trial involved the use of the bone marrow of a child patient and from this the endothelial and smooth muscle cells were differentiated and cultivated in the laboratory. Donated blood vessels from two deceased organ donors are then treated with these cells and cultured in a bioreactor in the laboratory. The technique is called in English “tissue engineering”. The first tissue-treated blood vessel was transplanted into the child patient in March 2011, and the second tissue-treated blood vessel transplanted into the patient children In February 2012. The current article describes the handling of human tissues and cells in the laboratory. The article shows that tissue engineering of donated blood vessels with cultivated cells from patient’s bone marrow has been led by Professor Suchitra Holgersson. The article describes the use of such tissue-treated blood vessel in a child patient. The article also presents data from the operations done by Professor / consultant Michael Olausson. Suchitra Holgersson and Michael Olausson are employees at the Department of Clinical Sciences at the University of Gothenburg. The Council notes that the research involved humans and the lack of approved ethical reviews in accordance with the Ethical Review Act. Council investigation shows that approved ethical review of the regional ethical review board is missing, and that the further development of the protocol for tissue processing, as presented in the current article, have not been tested on animals by the research group before transplantation into the patient took place. Furthermore, the Council’s assessment is that the laboratory at the University of Gothenburg has no manufacturing authorization from the Läkemedelsverket, [Swedish Medicinal Product Agency, abbreviated MPA, -LS] and therefore is not accredited for developing advanced therapy medicinal products for the individual patient. Council analysis shows that certain details of organ donors in the article and in the opinion of the Council are incorrect or incomplete. The Council notes that the information presented in the article and in the statements submitted to the Council concerning the documentation of the ethical status and permission from the MPA do not correspond to the facts. The Council finds that Suchitra Holgersson and Michael Olausson failed to comply with rules on obtaining permission from the relevant authorities and provided misleading information in the article and in their statement to the Council. The Council therefore considers that there is reason to assume that scientific misconduct exists under paragraph 3e and 3f according to the guidelines for cases of suspected misconduct in research, artistic research and development at the University of Gothenburg”. The second investigative report is on Olausson et al EBioMedicine, 2014. Also here, I make available the entire document and the rector’s decision, in Swedish. In this case, only the ethics permits, or precisely the absence thereof, were investigated. “The Council for matters concerning the investigation of suspected misconduct in research, artistic research or development, (the Council), has investigated the matter relating to the issue of the ethical status of a study published in the scientific journal EBiomedicine 2014. The study consists of two parts; an in vitro part for the production of stem cell-treated blood vessel with blood from blood donors and patients from two children, and in vivo part involving the use of stem cell treated blood vessel in these two children patients. The study is financed by the state ALF funds to Sahlgrenska University Hospital and external research grants from the Swedish Research Council, the Heart-Lung Foundation and lngaBritt and Arne Lundbergs Research Foundation with the University of Gothenburg as principal. The current article describes the handling of human tissues and cells in the laboratory. The article shows the treatment in the laboratory of donated blood vessels recellularised with stem cells from the blood; the writing of the manuscript has been conducted under the leadership of Professor Suchitra Hogersson at Institutions of Clinical Sciences at the University of Gothenburg. The current article describes the use of stem cell-treated blood vessels in two paediatric patients. The article shows that the collection, interpretation and description of the clinical data in the manuscript were conducted under the leadership of professor / consultant Michael Olausson, at Institutions for Clinical Sciences at the University of Gothenburg. The Council notes that there was research that involved humans and the lack of approved Ethical Review in accordance with the ethical review law. Council’ analysis shows that certain information on donors (blood vessels, blood) in the article and in the statements to the Council are incorrect or incomplete. The Council notes that the information presented in the article and the statements to the Council concerning the documentation of the ethical status of the study and permissions from MPA do not correspond to the facts. The Council finds that Suchitra Holgersson and Michael Olausson has failed to comply with regulations on obtaining permission from the relevant authorities and provided misleading information in the article and their statements to the Council. The Council therefore considers that there are grounds to believe that scientific misconduct took place in accordance with paragraph 3e and 3f of the guidelines for cases of suspected misconduct in research, artistic research and development at the University of Gothenburg”. The retiring Gothenburg Rector Fredman informed the funders and the two journals, but she did not specifically request the retractions of these two papers, yet. It might be necessary though, knowing where The Lancet and its Editor-in-Chief, Richard Horton stand on the issues of ethics and integrity (see my special report). In fact, The Lancet even tried to sabotage my attempts to uncover the lies about non-existing ethics approval in the Olausson et al 2012 paper, though I succeeded anyway (as described here). Fun fact: Horton, was awarded an honorary doctorate by the University of Gothenburg in 2013 and described as “Defender of human health and integrity”. Two years later, Horton authored this editorial masterpiece. The final link to Richard Horton’s article is broken, btw. Regarding the copying of images into several papers, the investigation was done by the local Committee on Scientific Fraud at Univeristy of Gothenburg, but SH requested a second opinion from the Swedish Central Ethics Review Board (CEPN). That’s what we are waiting for now!